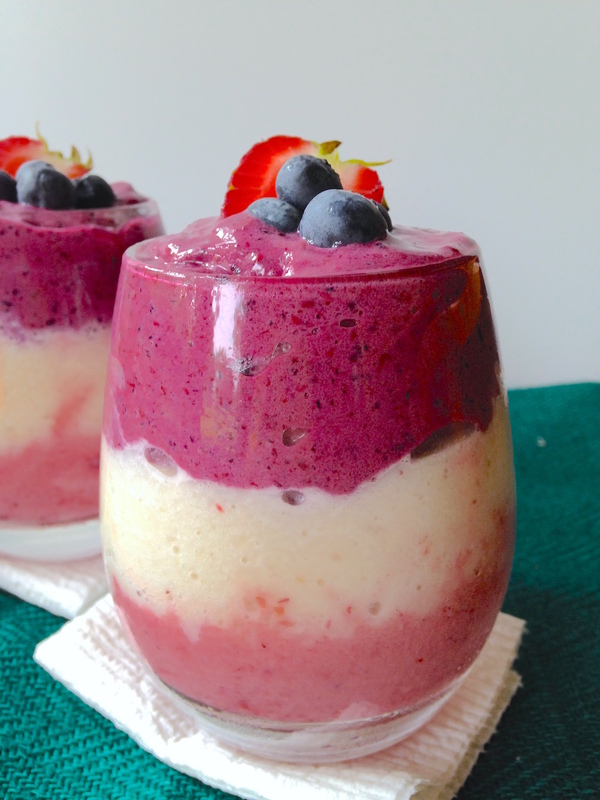 A delightful mix of berries, banana, and peaches! Can use any kind of milk or sweetener you prefer. 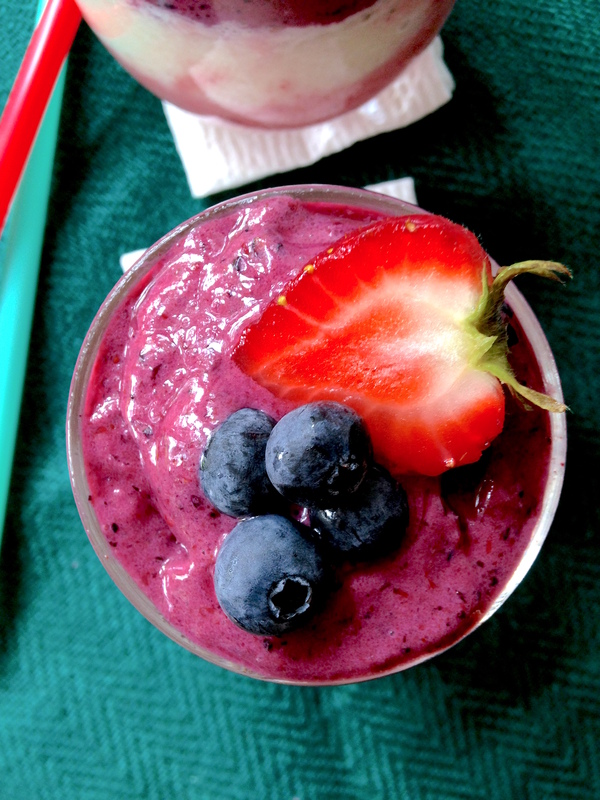 For pink layer, blend milk, cherries, strawberries, honey and ice in blender. Pour in glass and place in freezer for 10 min while making the next layer. 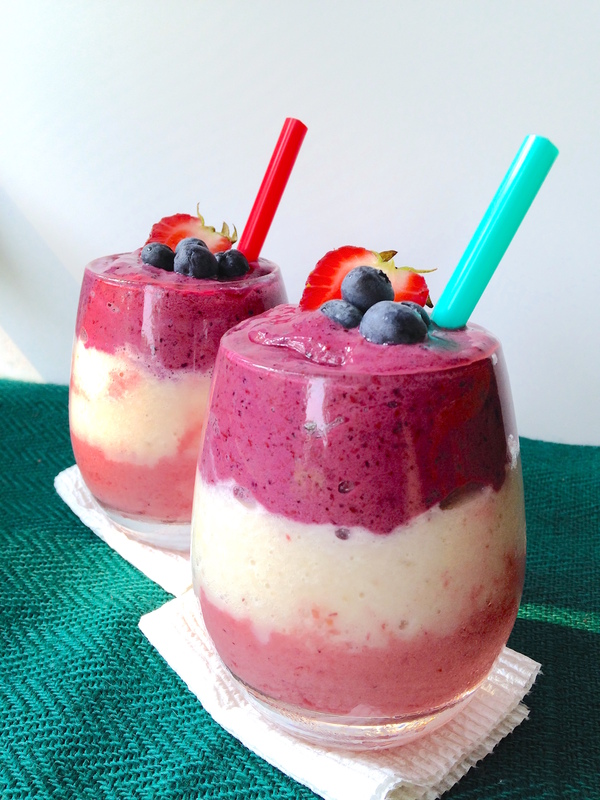 For white layer, blend milk, banana, peaches, and ice. Pour next layer and place in freezer again for another 10 min. 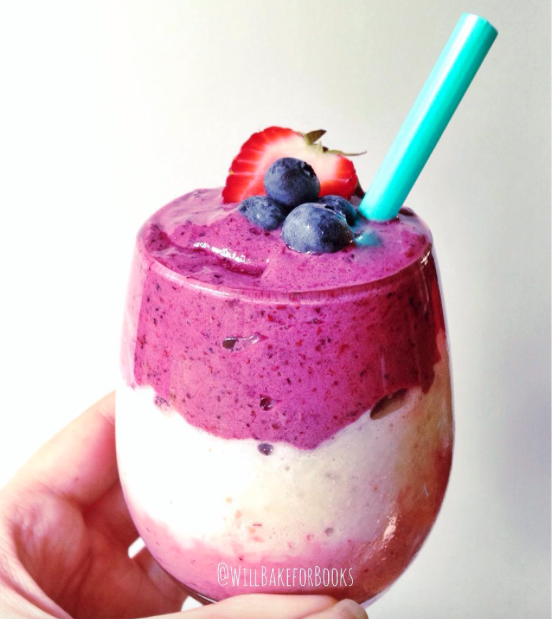 For purple layer, blend milk, blueberries, blackberries, honey and ice. Pour final layer and enjoy! Haha, thanks Rissi, I appreciate it. 🙂 Everyone liked them, and I know that’s what matters, BUT I would still like to figure out the great mystery that is blue and red smoothies. Lol!